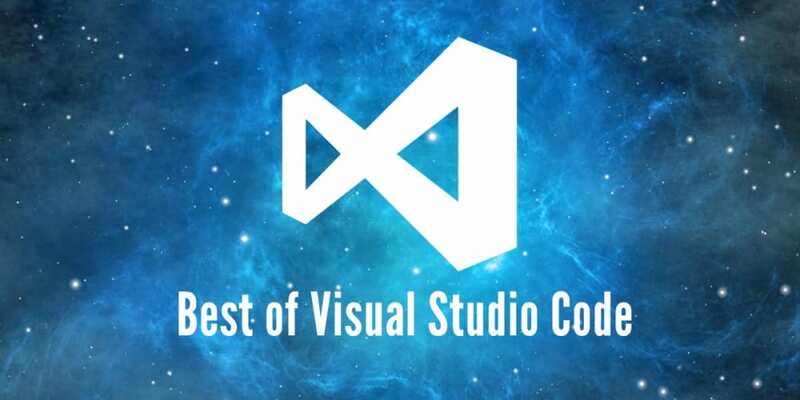 Visual Studio Code is a free, open source, cross platform text editor made by Microsoft. They essentially took their online editor Visual Studio Online (codenamed "Monaco") and used Electron by GitHub to deliver a cross platform editor. They have taken great strides to create a fast and highly efficient work environment for programmers. IntelliSense that provides smart completions. Debug code from your editor. Git commands built-in in the sidebar. Integrated terminal with ability to handle multiple instances. Customizable via extensions and themes. Every feature you find in VS Code has done an excellent job building simple set of features that focus on making you productive with syntax highlighting, smart completion, integrated git, and the in editor debugger. The main features that make VS Code unique is the sidebar that hosts the core features you&apos;ll be interacting with to code and refactor with. Everything else you need is likely an extension you just need to install. A very helpful syntax highlighter and autocomplete feature that provides smart completions based on variable types, function definitions, and imported modules. There is a built in GUI for Git for the most common commands which makes it really easy to instantly see the changes you&apos;re making in your project. When changing your color theme VS Code let&apos;s you preview them live when selecting one. The ability to work with a full featured integrated terminal let&apos;s you run everything you normally would from your terminal of choice. VS Code offers icon theming so that you can switch between icon themes in the same manner you&apos;d switch code themes. The following plugins will map familiar keyboard shortcuts from your previously favorite editor to VS Code. Due to the relative recent release of this editor things like minimap haven&apos;t been created yet but VS Code&apos;s extension library is rapidly growing. This extension will make VS Code use Atom keyboard shortcuts after installing and restarting. Imports the following git commands for you to use from the command palette. Very similar to the one found in Atom. This extension will install Sublime Text keyboard shortcuts in VS Code after installing and restarting. Get the familiarity of Sublime Text keyboard shortcuts with VS Code&apos;s great Intellisense. VS Code doesn&apos;t need a lot of extensions but the following definitely allow you to become more productive. I&apos;ve found the following plugins to be some of the most useful. When requiring local files this will give you autocomplete options based on the file path you type in. Adds support for ESLint and should start working automatically after installing and reloading VS Code. Simple project manager for switching between projects quickly within your editor. Simple and sort lines of text extension. Also offers case insensitive, reverse, and unique sorting. A premium continuous test runner that creates visual feedback in your editor when your tests for the file you&apos;re working in pass or fail. Chances are you are coding on multiple computers. Moving your plugins and settings across computers is a breeze thanks to the Settings Sync extension by Shan Ali Khan. Adds support for EditorConfig so when you format a file it refers to this convention. VS Code extension that autocompletes npm modules in import statements. Align text that have things that need to be aligned like =, :, and more. Best vim plugin for VS Code at the moment. Not the most downloaded vim plugin, but it works with multi-cursors unlike the higheset downloaded plugin. Quickly change the highlighted text to any number of cases. camelCase, PascalCase, underscore_delimited, CONSTANT, and more. Get sweet looking icons in your sidebar for all file types. Ranger Steve is a fast paced multiplayer shoot-em-up game entirely in your browser!